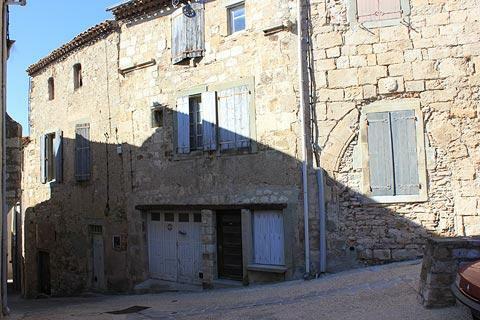 Caunes-Minervois is a medieval village in the Aude department of Languedoc-Roussillon in the south of France. It lies at the foot of the Black Mountains. 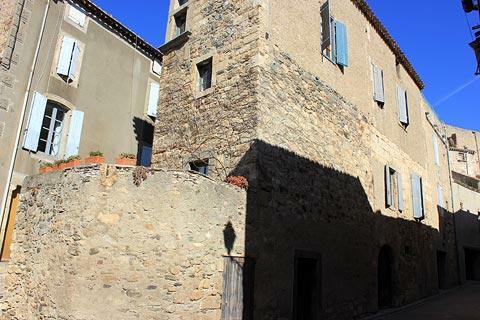 Caunes-Minervois is a small village in the middle of the Minervois wine growing area. The principal attraction in the village is a beautiful abbey dating back to the 8th century. As part of a paying visit you can see the 14th century nave and wooden stalls inside the church and the delightful 12th century cloister. The oldest part of the abbey church is the 8th century crypt which can be seen in the basement. 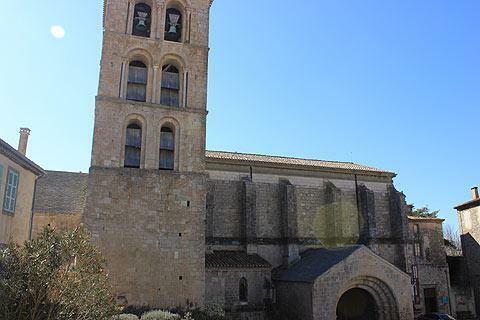 Its 11th century Romanesque apse with its round shape, conical roof and pillars with carved capitals can be best seen from outside, while the inside is beautifully decorated with red marble from the local quarry. Caunes marble has been used in many famous monuments, including Versailles Trianon and the triomphal arc of the Louvre amongst many others. 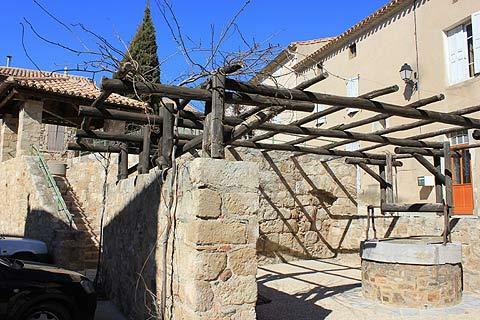 There are three different quarries with different shades of red marble quarried in each, and the Caunes-Minervois quarries are open to visitors. 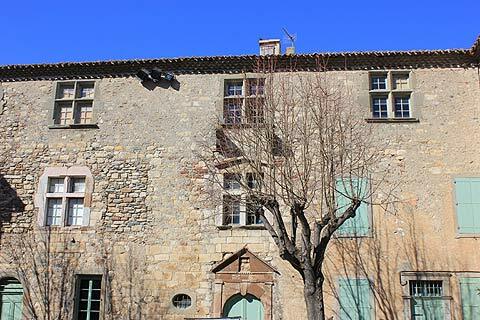 Also of interest in the village is the Logis Abbatial next to the abbey on the Place du Monestier. 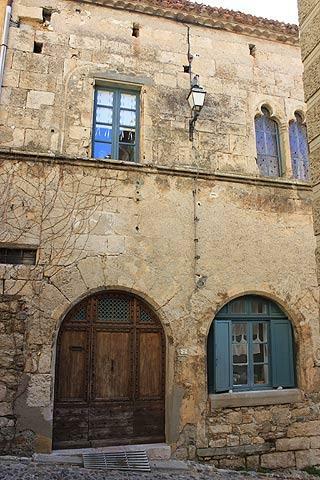 The Logis Abbatial was built in the 12th century but what we see today was mostly rebuilt in the 1600s. 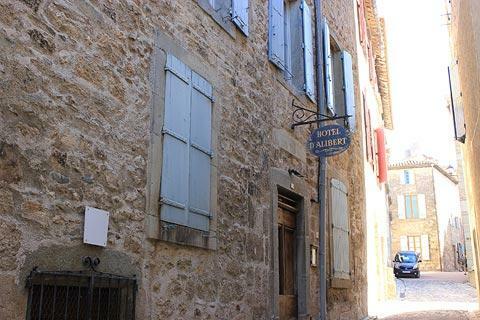 The Hotel D'Alibert is a large Renaissance house and has an Italian style and is the most impressive house in Caunes-Minervois. 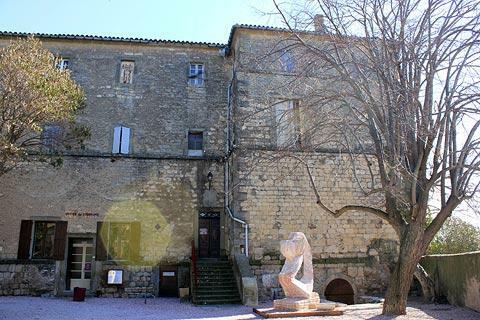 Another large house is the Hotel Sicard which was built in the 14th century and changed somewhat in the 15th and 16th centuries: the house has two distinct styles with both a Gothic part and, to the right of the round tower, a Renaissance part. 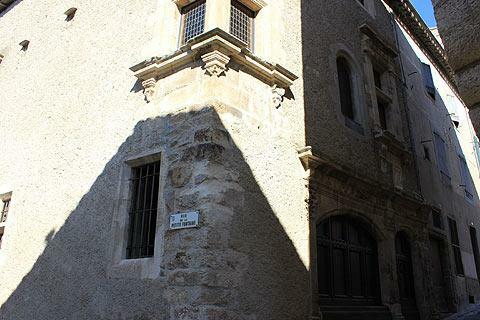 You can also see the remains of some of the ramparts of the village and four of the ancient gateways into Caunes-Minervois during your visit. About 1.5 kilometres from the village is the Notre Dame du Cros chapel built at the site of a water source which is said to have cured fevers. Villagers make an annual pilgrimage to the site in September but it is a pleasant walk any time of the year and the surrounding hills are good for climbing and walking. 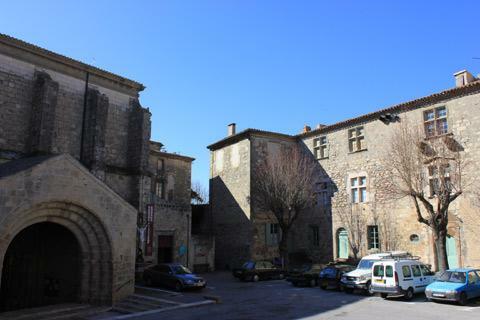 To the east of Caunes-Minervois, the village of Minerve is well worth a visit, and to the south a visit to the historic walled town of Carcassonne is unmissable when you are in the area.